Yesterday Russia and allied military forces in the Collective Security Treaty Organization (CSTO or ODKB) began a series of exercise events which will run until the beginning of October. Operational-strategic exercise Tsentr-2011 will involve Russian forces and Belorussian, Kyrgyz, Kazakh, and Armenian sub-units in different training scenarios focused on ensuring security on the Central Asian axis, according to Nezavisimaya gazeta. Twelve thousand personnel, 50 aircraft, 1,000 vehicles and other equipment, and ten combat and support ships will participate under the direction of Russian General Staff Chief, Army General Nikolay Makarov, according to Mil.ru. Russian forces will include one army brigade as well as operational groups from other militarized agencies — the MVD, FSB, FSO, and MChS. NG cites Makarov who said the exercise will focus on “localizing internal as well as external conflicts.” Extrapolating from his earlier comments about North Africa and the Middle East, the paper claims he wants the army to be ready to perform internal police functions like the Syrian Army. 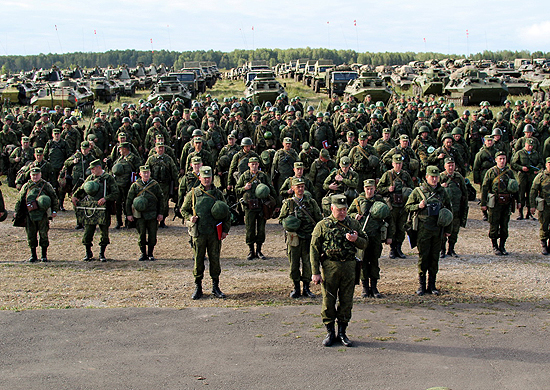 Mil.ru puts it more technically saying the exercise will improve command and staff skills in controlling troops in the transition to wartime, in planning special operations, and in organizing long-distance troop regroupings. Exercise phases will include special operations to localize an armed conflict in a crisis region, and joint actions by ground and naval force groupings, according to the Defense Ministry website. The Ground Troops, MVD, and FSB Spetsnaz, writes NG, will practice liberating a town from terrorists and rebels on the Chebarkul training range. At Gorokhovets, Russia’s 20th Army and Belorussian forces are playing a series of tactical actions against enemy airborne assaults, specops, and “illegal armed formations” in their rear areas [under a separate exercise called Union Shield-2011 or Shchit Soyuza-2011]. Russian forces are training with Kazakhs on the Caspian, and at Kazakhstan’s Oymasha range. A command-staff exercise of the ODKB’s Collective Rapid Reaction Forces (KSOR) will be conducted at the Lyaur range in Tajikistan. Developing some collective military intervention capability doesn’t answer questions about real-world conditions where it might be employed. The questions proceed mainly (but not entirely) from Kyrgyzstan’s experience. First, will a threatened regime ask for ODKB assistance and under what circumstances? Second, will the alliance or any allies answer a member-state’s call? Training and exercises are good, but ultimately not much use unless such political issues are resolved. Still plumbing General Staff Chief Makarov’s Monday press-conference . 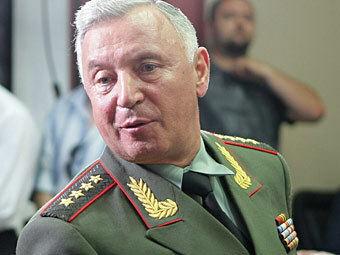 . .
Makarov indicated Russia’s Israeli-made UAVs will be used in the Tsentr-2011 exercise. According to Krasnaya zvezda, he once again worked Vega over for wasting years and money without meeting the military’s requirements, forcing it to turn to Israel to obtain unmanned aircraft. He estimates they will comprise perhaps half of Russia’s aviation weapons inventory by 2020. Izvestiya quoted Ruslan Pukhov to the effect that guided ASMs made up only 1 percent of Russia’s stockpile in the five-day war with Georgia, and Russian aircraft had to brave Georgia’s air defenses on most missions, losing four Su-25, two Su-24, and a Tu-22M3. He added, however, that a Su-34 employed an anti-radar Kh-31P to destroy a radar in Gori. Lenta.ru recalled General-Lieutenant Igor Sadofyev’s late 2010 comments about plans for a radical increase in PGMs and UAVs in the Air Forces by 2020. You can refresh your memory here. Some military commentators and news outlets managed to tie together Makarov’s comments on Arab revolutions, Central Asian exercises, snipers, and sniper rifles in interesting, but not always accurate, ways. So, Moscow’s pretty obviously looking at the possible repetition of a Libyan or Syrian scenario somewhere in Central Asia . . . no surprise there . . . makes sense. That doesn’t really sound Libyan or Syrian, does it? It’s not internal. It’s good old external spillover. Oh well, as long as it’s “localized” on someone else’s territory, and doesn’t cross Russia’s borders. This led a few outlets to take the next step on their own, i.e. a repeat of the Arab scenario inside Russia. You can read likely exaggerations of what Makarov really said in Gazeta.ru or Rbcdaily.ru. In its version, the latter claimed Makarov didn’t exclude internal unrest following the Arab example in Russia, and the army has to be ready for the worst case scenario of political developments inside the country. Pouring gas on the fire it lit, Rbcdaily introduced the sniper issue here. Of course, snipers are great for urban warfare or urban unrest. Rbcdaily’s Defense Ministry source says Makarov plans to put independent sniper platoons in every brigade. They’ll be armed with British rifles, of course. And the snipers themselves will have to be long-term professionals – contractees, so that’ll have to wait until the middle of next year. KZ didn’t mention Makarov talking about snipers. Just to finish this off, Makarov’s Syrian comments weren’t construed or misconstrued as much. KZ said simply that he said Russia is not planning a military presence in Syria, nor the introduction of extra security measures at its material-technical support base in Tartus.